One of the things I love about skiing is that generations can ski together. Grandparents can ski with their grandchildren. At least that’s how it worked in our family. This season I spent a weekend at Stratton skiing with 14 family members from three generations. It’s something I won’t forget. We’re a skiing family because of my Dad. He was a great athlete who grew up in Worcester, Massachusetts. 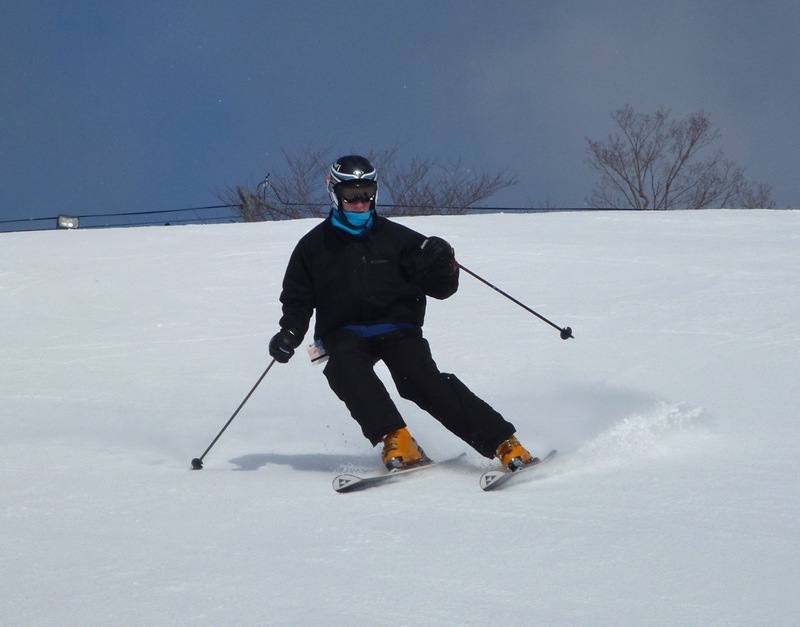 He started skiing in his late teens influenced by new rabbi at his temple. Rabbi Alexander Schindler learned to ski as a highly decorated member of the famous 10th Mountain Division that fought in Italy during the second world war. Like other vets from the division, he brought his love for the sport back to the states when he returned. 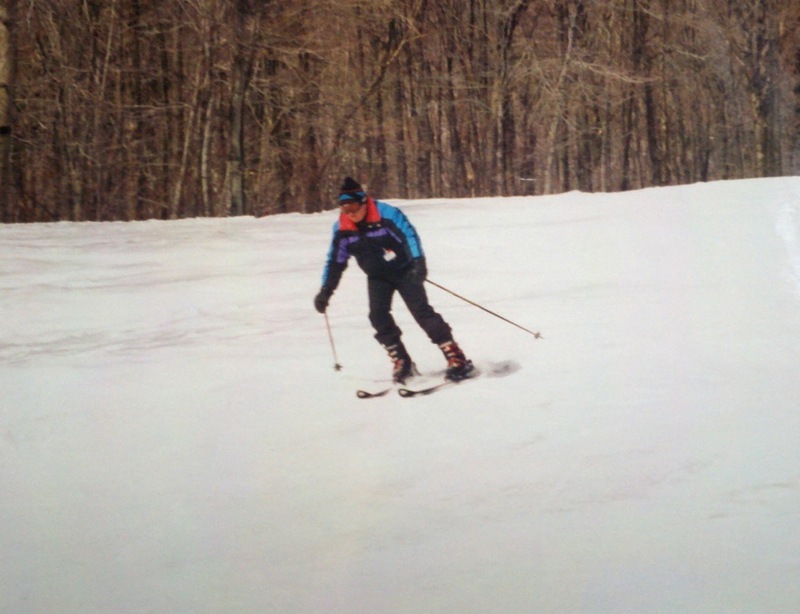 Rabbi Alex started a ski club and my Dad spent his winter weekends skiing Bromley in Vermont and Cannon in New Hampshire. He too grew to love the sport. My Dad shared his love of skiing with my Mom and they passed it on to us. We grew up in northern New Jersey spending days and nights skiing Craigmeur, Mount Peter, Campgaw, Snow Bowl, and the infamous Great Gorge/Vernon Valley. Two or three weekends a year we’d travel to New England. We would stay in the bunk room of a lodge that included breakfast and dinner. In the 1960s and 1970s skiing was more of a communal sport where many different families and friends would gather around the fireplace in the evening to relive the adventures of the day. By the 1970s “the kids” started to out-ski the parents, but we still skied as a family. 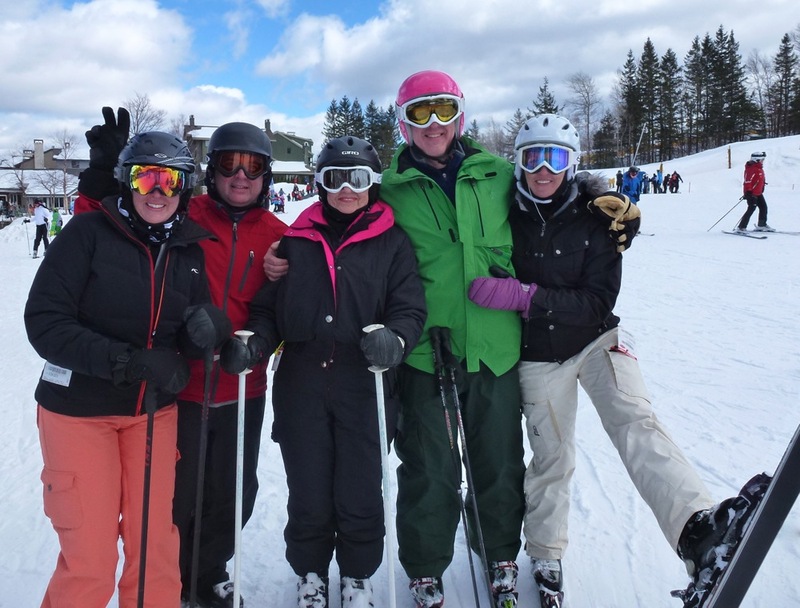 When we had children of our own, it drove my parents to continue to ski as they cherished any time they could get with the eight grandchildren. My dad stopped skiing about 5 years ago, and passed away this past winter. But my Mom is still ripping. Every season I try to spend a least one day skiing with my siblings. We still laugh about the shared memories of jamming our family into a station wagon with 6 pairs of skis, wondering how we ever got it all to the mountain. And it continues. We’ve passed our love for the sport onto our kids. During our weekend at Stratton we celebrated a birthday, an anniversary, and seeing Mom make turns with her grandchildren. For her the moments were clearly bittersweet; so happy to be with us and so sad Dad wasn’t there. There are many reasons to ski, but skiing with my family is number one with me. My wife and I have no kids and we ski at a unknown ski hill in B.C. Canada . We are from N.Y. and found Mt. Baldy it the 90’s and now don’t ski anywhere else. It is truly one of the last family ski areas in North America. 130 or so family owned ski-in ski out cabins with generations in each. I know what you mean, we just share the whole Baldy family. x10003q, you hit the nail on the head. Great post, let me hear you say YEAH! My family was a skiing family. I skied for my first time when I was 3. First pair of skis at 5. My first two pairs of boots were leather LACE-UPS! (I am dating myself, now…) We had season passes at Butternut Basin in Great Barrington for 8 years. Some of the best times of our lives! My favorite memory of this past ski season was the weekend my oldest son was home ,on a break from college,and I skied Greek Peak with my three sons. First time in three years we all shared an activity together.Nothing beats precious time with your family. Nice article. My Dad started skiing in the late 30s, he introduced to my Mom when they were living in Connecticut, he would talk of a place he called “Big Bromley”. I can still remember that christmas morning in the early 60’s when all 5 sons got new skis and boots, lace up leather boots with cable bindings. He took us to what is now Ski Liberty (we lived in Md.). Economics turned sour for us and other twists of fate did not go well either and that was the ned of our skiing as a family. He has passed, I returned to skiing in the early 90s and I have passed it down to my daughter. I love going to Utah and seeing 3 and 4 generations of the same family vacationing and skiing together, if I get to be a grandfather maybe that could be me some day. Heavy sigh. Skiing is one of the very few sports that can be enjoyed with multiple generations of a family and that is part of why I think its so great. Great post that resonates very deeply with me. 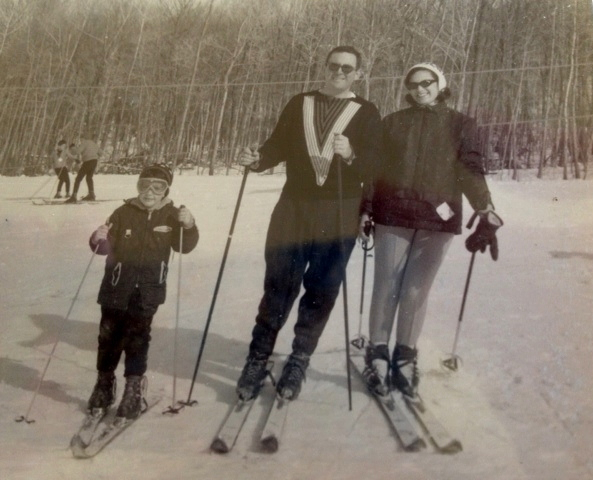 Family skiing was a huge part of my upbringing too. Back in the 1990s we had three generations on the hill together for several years when my kids were old enough to begin skiing with my Dad and I. You guys are a blessing to your Mom! Great Post! Love the old pictures with old ski gear and family memories. Nice. We were always going out skiing as a family. 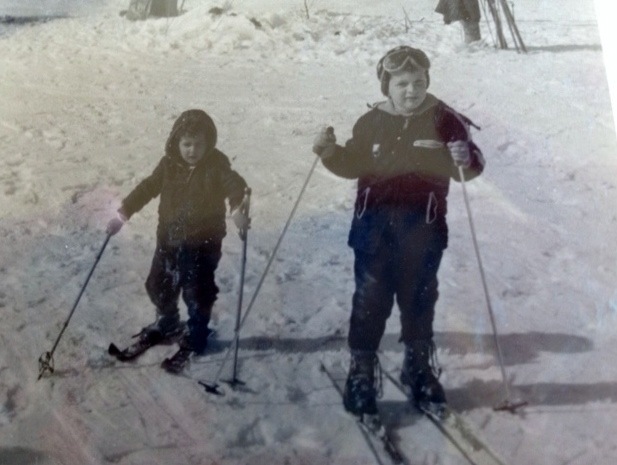 Before I could ski myself, my mom had my brother and I out on the slopes of Whistler in backpacks I started skiing when I was 2, then started racing at 4. I raced on teams in Waterville Valley, New Hampshire, Whitefish, Montana, and Kimberley, BC. The thing I love the most about skiing is the the speed and the freedom. I have been coaching with FAST for 7 years. I like getting to share the joy of skiing with so many people. And the view form my office is amazing! The most valuable thing skiing has taught me is to “Go with the flow”. My favorite skis ever were a pair of red Atomic 210 DH skis. It was the first pair of skis I owned that were comfortable going as fast as I was. While I was racing I was a Herman Maier fan. I was always trying to be the next Crazy Canuck though. I wanted to go fast, be fearless and have fun. What brought me to Fernie? Well the deep snow, big lines (not lineups) and the tight-knit community.